"The voice of the food industry in georgia"
2019-2020 applications are now being reviewed. Winners will be announced in May. We have over $130,000 in scholarships available to GFIA members and their children! Our members are the strongest asset we have when lobbying on behalf of the industry. 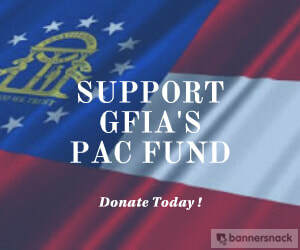 Get involved and donate to our PAC fund, Food Industry For Good Government [FIGG] today! GFIA member John West of West Foods returned this year with another product from his confection company, Georgia Fried Peanuts. He was a finalist in the snack foods category. Visit his website to order some of his delicious peanut products.